The Nasci FB sets new standards in the hugely popular series. For the first time ever a reel features HAGANE gear and CoreProtect, once only found on Shimano's most expensive reels. These additions increase gear strength and ensures an eternally smooth reeling experience, even under the most heavy duty conditions. X-SHIP increases winding efficiency and smoothness making the Nasci FB suitable for many freshwater fishing situations. The G-Free Body technology has been developed to shift the reel's centre of gravity closer to the rod. This has been achieved by moving the worm shaft oscillation mechanism 19mm from the bottom of the reel to the top. By moving the centre of gravity closer to the anglers hand position, the G-Free Body helps to reduce fatigue and enhance casting comfort. The Nasci FB contains 4 Shielded Stainless Steel bearings and a roller bearing for smooth, assured performance when under pressure. 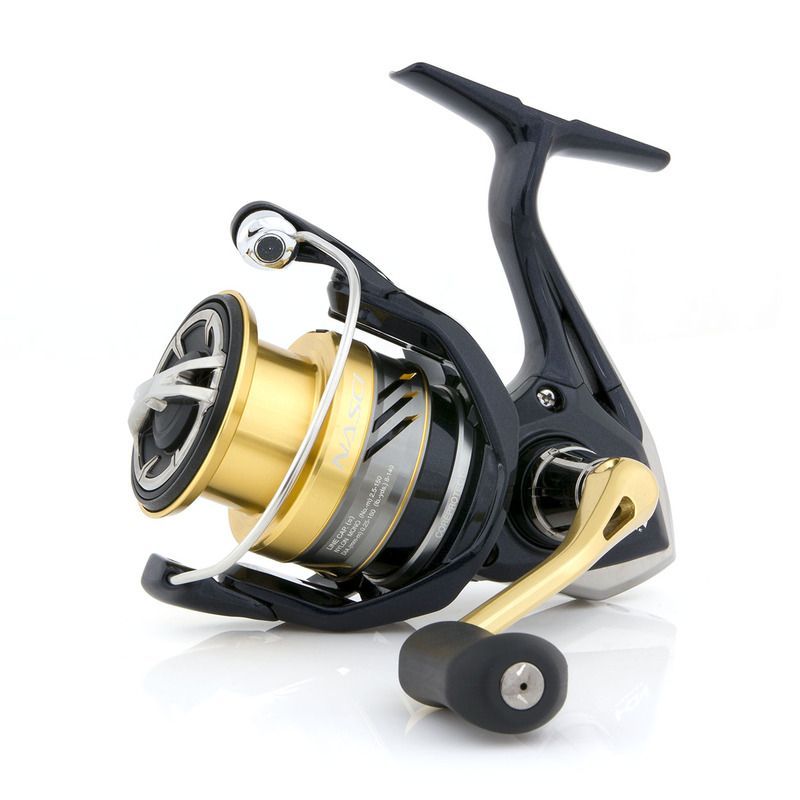 The Nasci FB has a distinctive look that sets it apart from many other reels. Available in a wide range of sizes, from the smallest 1000 size for finesse fishing with lightweight sensitive rods, to the compact bodied 5000 size for feeder or heavy lure fishing. A shallow spooled 3000 model is also available, suitable for use with lightweight mono for float fishing or braid when predator or medium range feeder fishing.